Han Sino uses the modern means of CAM – Software, and Hardware sequencers, as well as digital and analog keyboards and synthesizers, to produce original creations. To these significant tools, he sometimes adds traditional instruments. Inspired by Afro American music fundamentals, world traditional music, and the urban and electronic experiments, Han Sino creates instrumental Nu Jazz and Urban Spoken Word Poetry. His sound is characterized by a groove, a swing or an atmosphere inspired by the 70’s, 80’s and 90’s, but resolutely turned toward the future and more daring experiences. 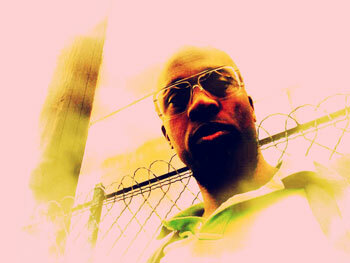 His latest and most daring album to date is the Nu Jazz Instrumental “Exquisite Gardenz”. Han Sino’s new full-length album, is a true glimpse into the organic workings of the mind of the French producer. 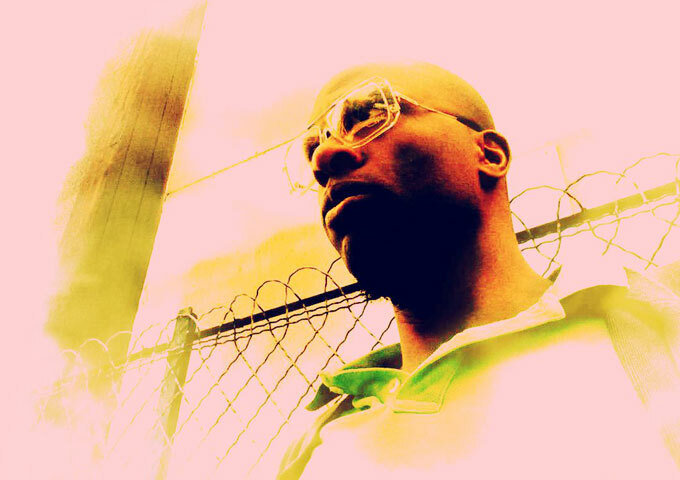 Combining jazz music, ambient melodies and electronic beats with urban infused undertones, “Exquisite Gardenz” is truly a treat for the senses that transports the listener to a world of pure, unadulterated bliss. 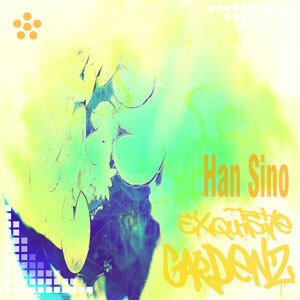 “Exquisite Gardenz” exudes a melodic space and creates an other-worldly atmosphere where the listener becomes thoroughly entrenched in the harmonic cosmos Han Sino manifests through the impeccably polished and calming sounds which endure throughout the album. The sounds contained in each song shows off a shape-shifting collage of expression that never crystallizes into a final form, but remains kinetic. I was moved by the imagery of this concept as it relates to the composer’s experiences and his creative process. As Sino himself explained, this is not an easily accessible album. It unfolds like a vast canvas of spattered vignettes, connected loosely by vague, stretched thoughts; and even when grounded in a rhythmic premise, it seems like Sino is equally bound to the sense of drifting ideas and evasive thoughts, separating purpose from overarching structure, and leaving us suspended in between. Yet this recording stands out in his catalogue because of its stylistic leaps. It is genius because it affirms and refutes any defining traits, in a way that is both subversive and invigorating, but most importantly, wholly befitting of our attention, refusing to be relegated to background noise. This is all drawn around the album’s bookends, “Exquisite” and “Gardenz”, a pair of emotive compositions anchored in a state of boundless growth and imperceptible fragmentation. The sounds wander in and out of straight lines and sway with a knowing grace. There’s something beautiful in the conceit an artist constantly toying with expectations and never choosing a direct path. What ultimately gives the album its brazenly hypnotic allure, is how it not so much avoids structure, but instead takes the concept purely on its own terms. This is evidenced on “Funky Kotoz” and “Nice Pearlz”. The album’s inclination to intrigue rather than simply charm – be it through its illuminating shards of humanity on “Void Visionz” or through its immense box of sounds on “Fluo Lotuz” – is based on an almost playful exuberance. The beauty of the album is that it somehow manages to balance its whimsical nature with the utterly peregrine landscapes it chooses to employ. The tangible subtlety you’d expect in a typical Nu-Jazz or Chill Groove release is there, but the sonic production and the fairy tale like songwriting twist that around. On “Exquisite Gardenz” Han Sino masterminds his electronic ensemble to create soundscapes that draw from the familiar but end up sounding completely novel. Producer Lavi Beats is Getting Ready to Drop New Music!